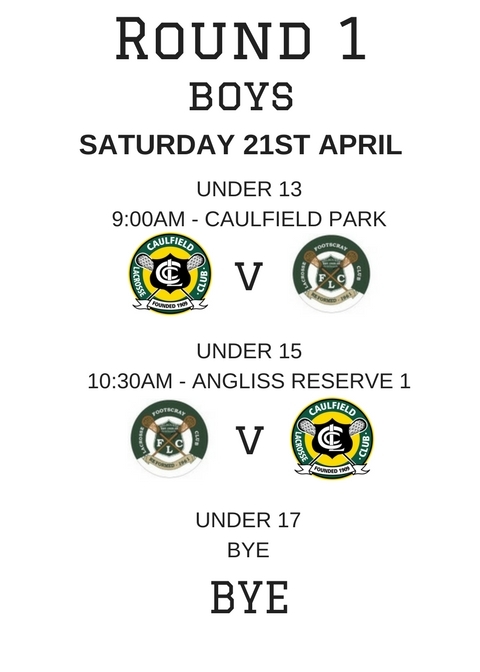 Registration is now DUE for Caulfield Lacrosse Club. Please click the link, register via SportsTG and process payment to enable the club to plan for your commitment for 2018. BSB# 633000 ACC# 162526008 to avoid extra credit card fees. 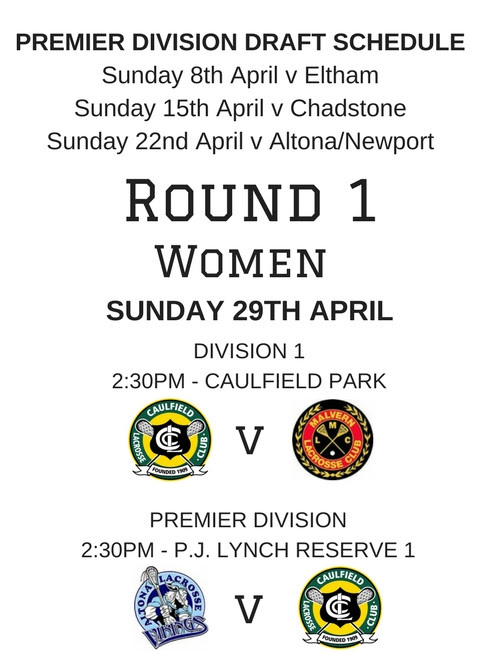 A new look division 3 team took to the field in a round 1 matchup against Altona/Wyndham. The team included first game players Jacob and Mike Spilkin and Josh Rotstein along with James Faull back playing after a long absence. Just before the game started a wild burst of wintry weather swept across the ground drenching all the players and their equipment. However, a sign of how different this year’s team is to recent Div 3 teams, the team still went out i8n the rain before the game and got a good dynamic warm-up in. The game started with a goal to Altona, however we added 2 to take the lead in a tight first quarter. As the game evolved our juniors settled into their roles and started to take control of the game. The second quarter was played at a pretty fast pace, our D repelling Altona’s attacks, our clears working well leading to some transition goals – including a ripper from Peter Dyson playing in his last game for the club (he’s returning to England), as well as some great inside feeds to Josh who added 2 more goals to the 2 the scored in the 1st quarter. We took a 6-1 lead into half-time. The pace dropped off in the 3rd quarter but the pattern of the game was unchanged. Jai and Jacob dominating the face-off. James Currie stopping any shots Altona managed to get, and solid defence from Pedro, Ethan and James Faull keeping the ball in attack for long periods of time. We added 3 more goals in the 3rd quarter. Altona added another in the last quarter but we got another 4 to run out winners by 13 to 2. James Faull got 3 votes for a dominating performance in defence. (Ethan and Pedro also did well). Josh in his first game got 2 votes – finished the game with 6 goals and 2 assists, and Dylan got 1 vote, running rings around the defence at X, and scoring 1 goal and throwing 5 assists. 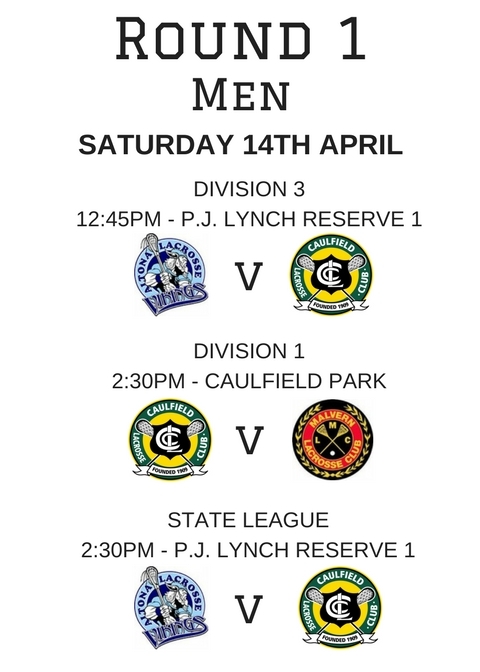 State league played Altona on Saturday with a 12-10 loss, but a gutsy effort with a couple of very late withdrawals just b4 the game that left us with 13 players to start. An injury to another in the 2nd term which meant we played most of the game with 12 players , just 3 long poles. This made man down very difficult. Tank dominated face off for us , we had enough ball to win the game. Midfield stand outs were tank in the face off & Liam Harari with some tremendous ground balls, Attack – with Liam Fothergill had to some nice finishing and Will our American import doing a good job opening up angles for the team. 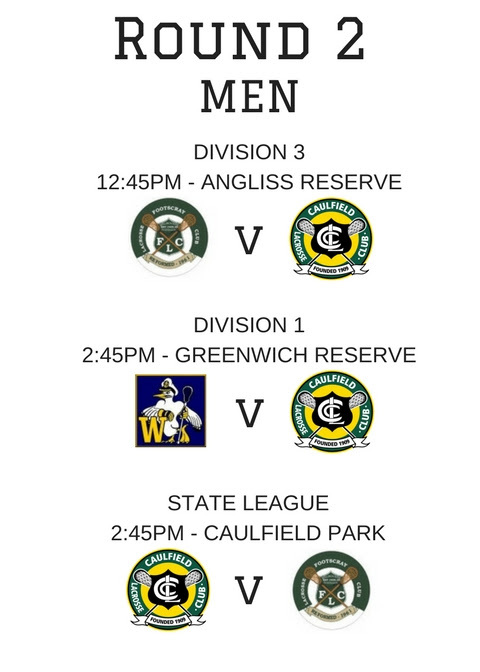 Join us on Saturday June 23 for Caulfield Lacrosse Family Day! 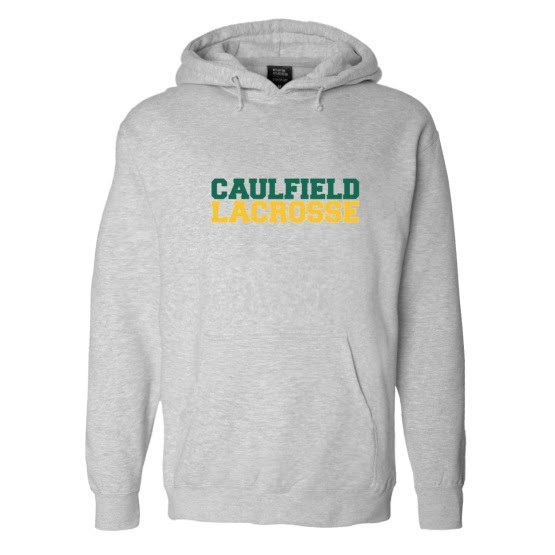 Brothers, Sisters, Aunts, Uncles, Grand Parents, Friends to join us in showing our Caulfield Pride by wearing our new design hoodie. Simply purchase/pre-order your hoodie for $60 by following the link, and wear with pride! 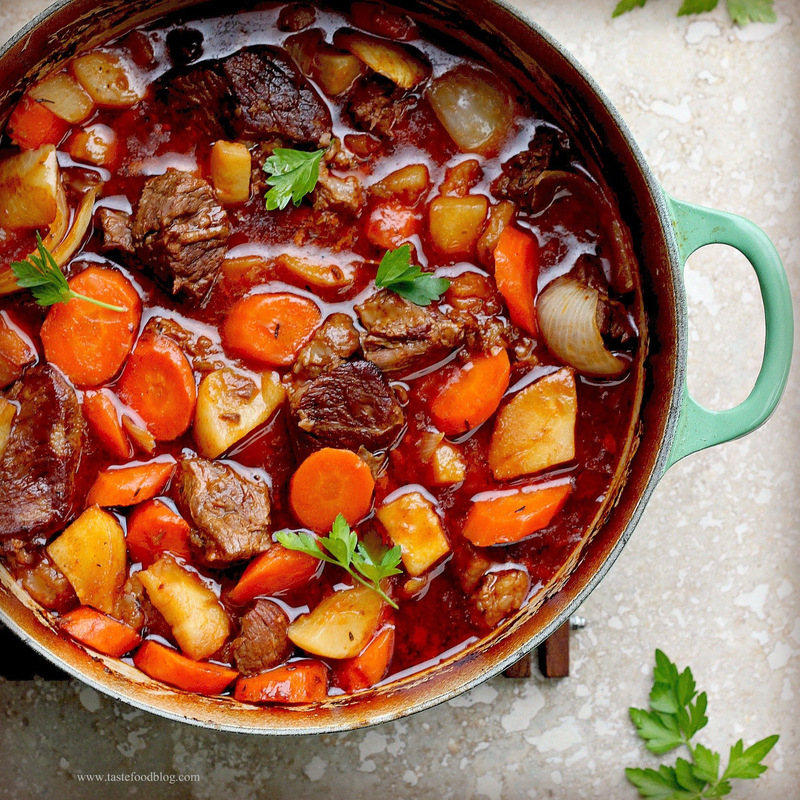 Dinner after training on the 19th of April is created by our Parent Masterchef – Glenys Melvin! This session will be the first of monthly guest speakers! Juniors (and parents) are welcome for the early sitting after junior training from 6.30pm. 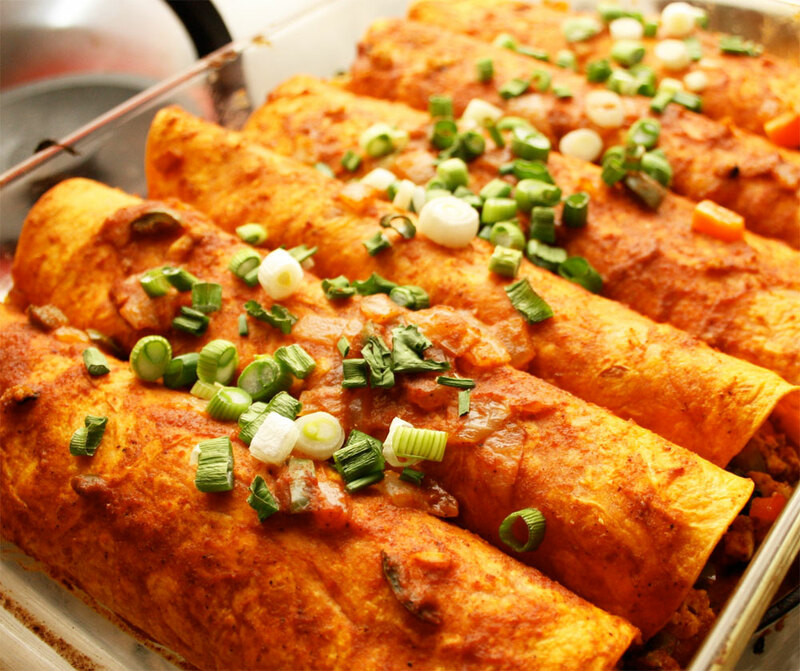 It is essential to RSVP so catering can be as accurate as possible (just click on the event to say you are attending, or pop additional names into a comment). To get involved with the club and give coaching a go please email(secretary@caulfieldlacrosse.com.au or president@caulfieldlacrosse.com.au). To get involved with the club and give team managing a go please email (secretary@caulfieldlacrosse.com.au or president@caulfieldlacrosse.com.au). 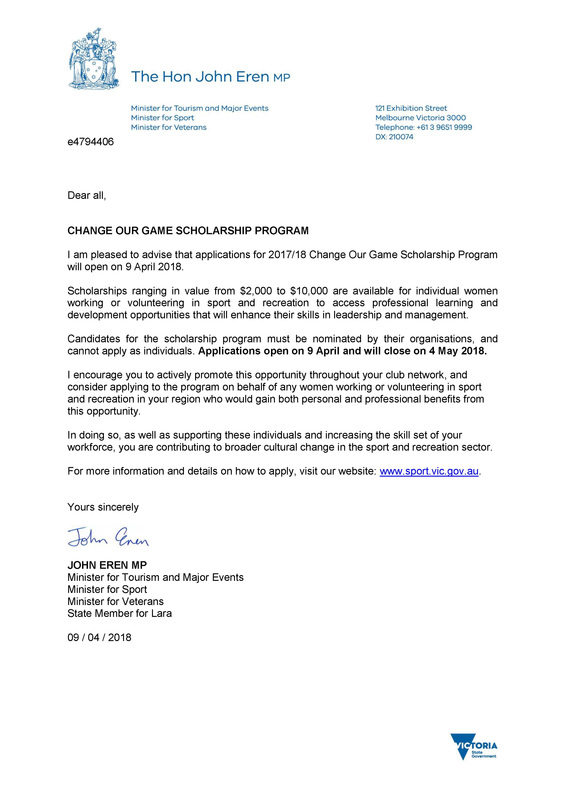 Glen Eira Council is delighted to promote to all our sporting clubs the ‘Change Our Game Scholarship Program’. The Scholarship Program is promoted by the State Government and creates opportunities for women to pursue leadership and development opportunities within the sport and active recreation sector. I write to you about the matter of eye guards (goggles) in our women’s competitions. Currently all junior (Under 17 and below eligible) girls are required to wear eye guards (goggles) in our competitions, with an unwritten expectation that this is regardless of whether playing in a junior or senior grade. The Lacrosse Victoria Board has been considering this issue following a review by ALA who are introducing a requirement for all aged players (Under 18) to wear eye guards in ALA events from 1 September 2018. 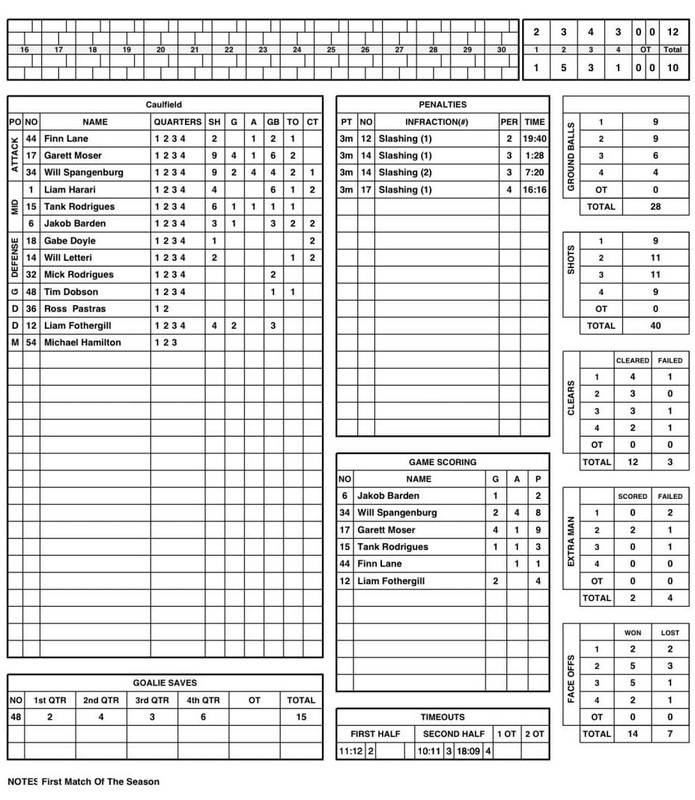 At present LV utilises the FIL rulebook with ALA variations for our senior and Under 17 competitions. These rules allow but do not mandate use of eye guards. In 2012, LV introduced a rule requiring junior girls to wear eye guards with a view to expand this into senior grades at a later point. Due to various reasons this has not happened sooner but is now firmly intended to be introduced to ensure all our players are adequately protected. This is seen as an important step to increase the support for player safety. LV has resolved the following, that are to be considered a local playing rule and carries the same power as a Game Day Rule. a. 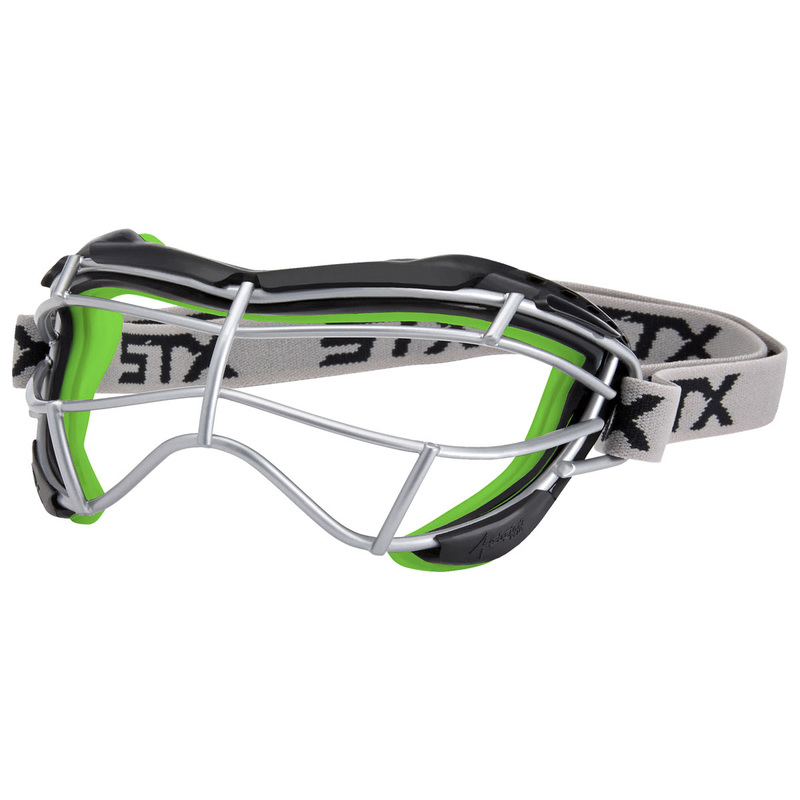 All player’s born on or after 1 January 2000 shall be required to wear eye guards. a. When playing in Under 11 girls competition/rules. b. When playing in school competitions with soffcrosse rules. c. When wearing any headgear these must incorporate eye guards and meet ASTM F3137. d. Eye guards must meet manufacturer’s specifications and are highly recommended to comply with ASTM 3077. For assistance in seeking supply of approved protective eyewear please contact the LV office for advice. During this phase-in period we seek individual players to ensure they are complying with this rule, and that from 2020 all umpires will be required to enforce this rule at the senior level. Just over two years ago we lost one of our dear members Angus Moss Weaving. Angus grew up playing lacrosse at Caulfield starting from under 13’s and played through to his senior years playing a couple of season in State League. After some time away from the sport travelling the world and working up north, Angus’ happy smiling face came back to Caulfield and it was a great feeling to see our old friend. He rekindled many friendships that he had built over the 10+ years he played prior to his travels but also made a lot of new friendships. Everyone who knew Angus knew the positivity he spread, that cheeky smile and no matter what was going on – he made you happy. It was unfortunate that this smile that would shine so bright had a not so happy undertow, Angus was battling depression. It was a fight that he fought alone a lot of the time and he did seek help but it was a battle our dear friend did not win. In late March of this year the Glen Eira Council gave Angus his own memorial bench, it is incredibly fitting that it faces out onto the field where he played so many of his games, and spent countless hours practicing. 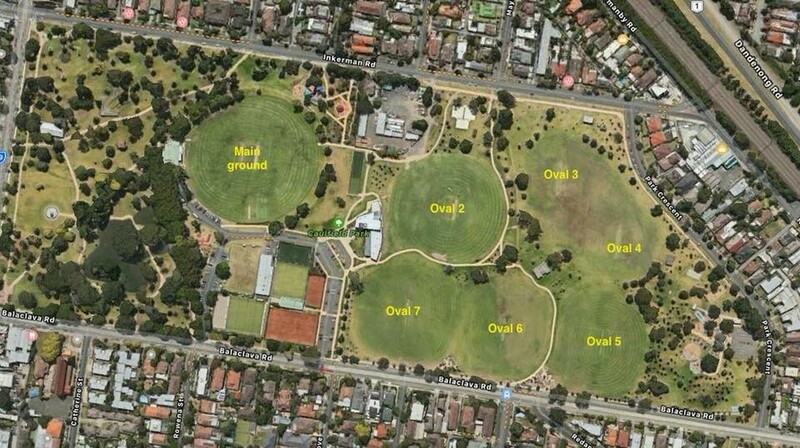 If you would like to see the bench it is located just in front of the playground on the outer side of the main oval. Go take a moment to reflect, to think about Angus and the impact he left on your life, or just go to think about yourself and make sure you are ok.
As tribute to Angus, Caulfield Lacrosse Club have got helmet decals with the Angus Weaving and the number 16 on them. We will be selling them through the canteen for $5 each where all money that will be raised from these will be donated to Beyond Blue as per his mother Kerrie Moss’ request. Remember if you are ever in need of someone to talk to reach out, we are a family at Caulfield and we will make every effort to help. IGA is a network of independently owned stores (all 1,400 of them) they tailor their ranges and brands to give their local customers more of what they like. This includes many of your favourite brands, the ones you may no longer find on shelves in other supermarkets. 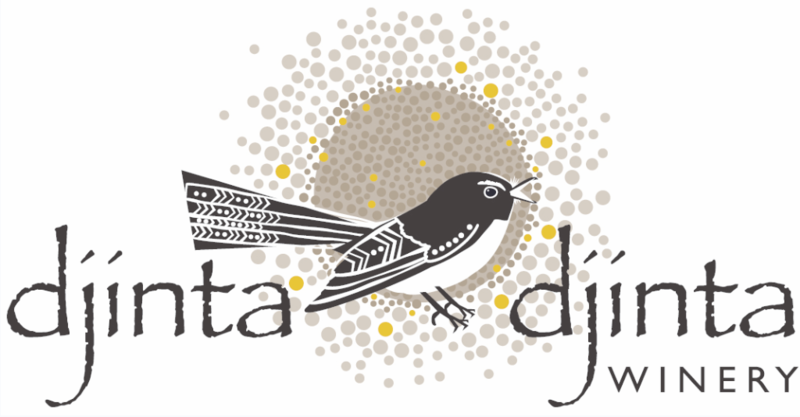 IGA proudly support Aussie producers too by stocking ranges of locally made products. IGA actively participate in the communities to help local schools, surf clubs or hospitals whether it’s footie balls for the under 14’s or life-saving equipment. 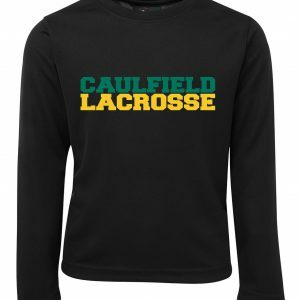 Glenn and Karen have been a big sponsor of Caulfield Lacrosse over the years and supply the club with a huge range of food, drink and Lacrosse knowledge. New Merchandise will be available to purchase by Tuesday 24th April or you can pre-order now via our new online store too! Aaron ‘Smash’ Smith has been involved at Caulfield Lacrosse Club his entire life. His entire family has either played for or been an integral part of what makes Caulfield Lacrosse Club. His grandparents Doug and Barb Imlach are both life members and Doug is also our Club Patron and has one of our most prestigious awards named after him. His Mum Kath and Aunty Helen are also Caulfield Lacrosse Club Life Members and have been on numerous committee’s. Official Tuesday and Thursday training is BACK! 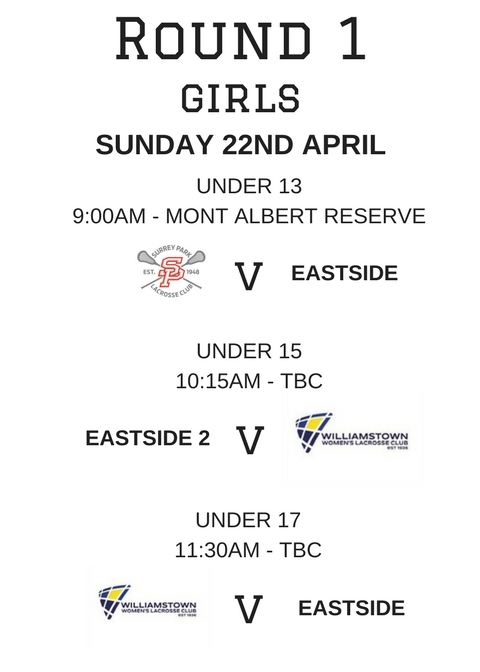 The Under 18 National Championships were held in very sunny conditions at the Glenelg lacrosse club over the Easter long weekend. 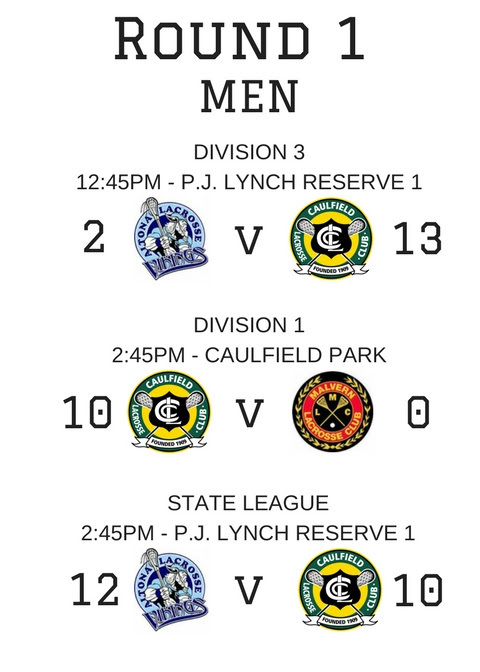 The play-off games for 1st place in both the boys and girls competitions saw Victoria against Western Australia. 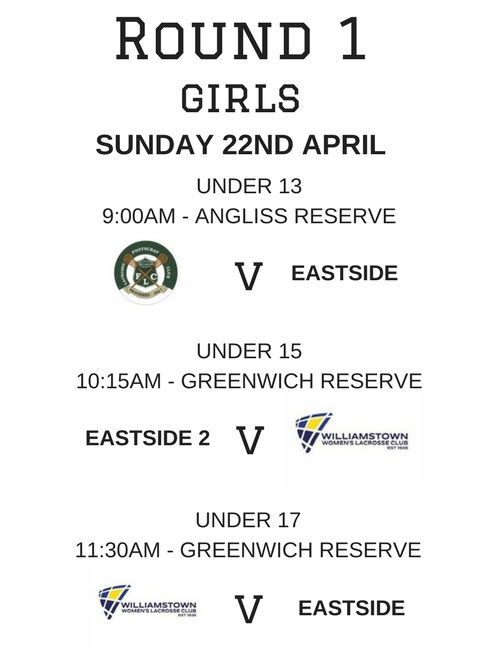 The girls went into their final as underdogs, the Western Australians went into the final undefeated. They had a comfortable win over the Victorian team on the first day and would have gone into the final full of confidence. However, in a tightly contested final the girls prevailed by 1 goal, winning 12 to 11. Tim Dobson’s presence, deep voice, lacrosse knowledge and general calmness contributed greatly to their come from behind win. Zoe Stannus, who had a great tournament, was a key in defence, and played a major role in the win, spending a lot of time in the final marking the best WA attackers. The final was tense and very tight in the last stages. Zoe held her nerve throughout, running hard to get back to repeal WA attacks and also to help the Vic’s clear the ball and start their offence. A great result for Zoe and Tim, well deserved. The boys team went into their final full of confidence having won all their lead up games. After a tight start the boys got right on top of the WA team and ran out very comfortable winners, 20 to 7. In the final Finn scored 3 goals and Liam got a goal and an assist. Gavin Leavy the WA coach, commented to me after the game that the final was like watching boys play against men. The Vic boys ran with intent when dodging and cutting, threw the ball harder, and when their was a contest on the ground got their heads over the ball and usually came up with possession. That was from my perspective, as a spectator, a good summary of the difference between the teams, and also of the way Liam and Finn went about their lacrosse all week. Both boys finished the tournament with 6 goals, and remarkable records in junior representative lacrosse. 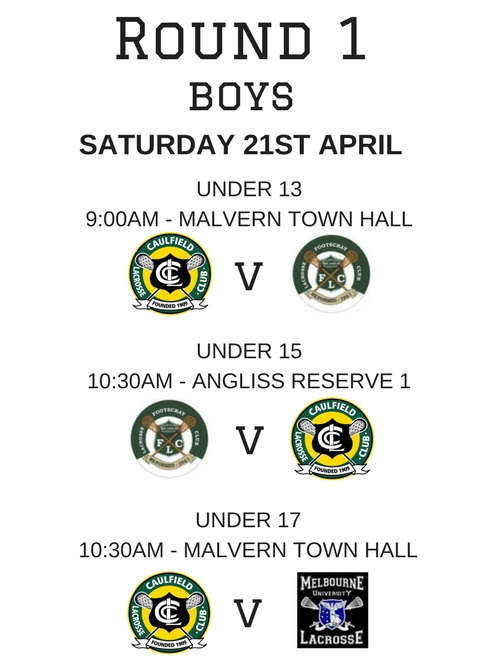 They have now played together in 4 national championship winning teams (2 for Southern Crosse and 2 for the Vic under 18s). They should be quite proud of their efforts. Liam’s suitcase weighted quite bit more on the return trip, having collected medals for being the MVP in the game against South Australia, making the championship all-star team, the all tournament team and the award as the championship MVP. Alongside the tournament the under 19 Aussie girls squad – including Shaylee – trained and also played some games. Shaylee played wonderfully well in those games. This was a super effort given her family had quite a bit to deal with while they were there. Her little brother fell and a cut lip required 17 stitches, and her grandfather, club legend Brian Hecker, became the victim of a mystery disease and also required hospitalisation. As you read this newsletter, Brian is still in hospital in Adelaide but thankfully the problem has been identified and he will after a course of medication be back to full health shortly. Well done Zoe, Tim, Liam, Finn and Shaylee, you all represented yourselves, our club and the state with distinction. It is with regret and sadness that l advise that Phil Humphreys passed away peacefully this morning aged 79. Phil was diagnosed with MS over 10 years ago, initially thought he had a back injury that might need surgery, but later diagnosed as MS, and has slowly deteriorated over that time to the point that he was wheel chair bound and in 24 hour care. I had the pleasure of working with him in many capacities, as my club coach and state coach, and then as president of the VALA, with the late Bill Taylor, when l was treasurer. He was a tireless worker at whatever he did, put 100% effort into anything, and while he may have been president of LV he was not beneath erecting goals at the Albert Ground for a Sunday game, something new at the time in the 1970s. Phil went on to be President of the Australian Lacrosse Council for several years. He was a fearless defenceman who played for Caulfield and proudly represented Victoria and Australia. He was also an administrator from a very early age and his name is prominent in the history of our game. Phil was nominated for an OAM and for some unknown and quite unbelievable reason did not receive one. Vale Phil, you are now at peace and able to do the things you hoped you could do in your later years, thanks for everything you did for the game of lacrosse in Australia. I understand there will be a private family funeral but there will be a fitting farewell for him thereafter. A sad day for lacrosse, but Phil is now at peace and in a better place.